San Diego is my top con for the year and this year was no exception. There are many positives and accomplishments I am happy about and there are a few minuses. I had a few goals on the plate for this year as I began shifting to things related to the blog but I also had some fun at the same time. The first day of the con started with the FoCC Breakfast meetup at the Broken Yolk (this was a RSVP event for FoCC forum members). To my surprise, several attendees arrived before the official start time. One member brought treats from her home country of Australia to share with everyone. Overall, the event was a success and everyone had a great time. Shortly after the breakfast a number of us made the dash to the marina behind the convention center to try our luck for Star Trek Beyond premiere tickets. I had hopes since last year when the release date was announced Paramount would do something for the release at San Diego Comic Con. When word spread that the drawing would occur during the day of Preview Night I adjusted my plans for the afternoon and put my plans for Preview Night on hold in the event I was lucky enough to win a ticket. During the lineup for tickets the sun was unrelenting and there was no shade unless you had an umbrella. Paramount decided as the day progressed to hand out water to those of us on line (thanks). 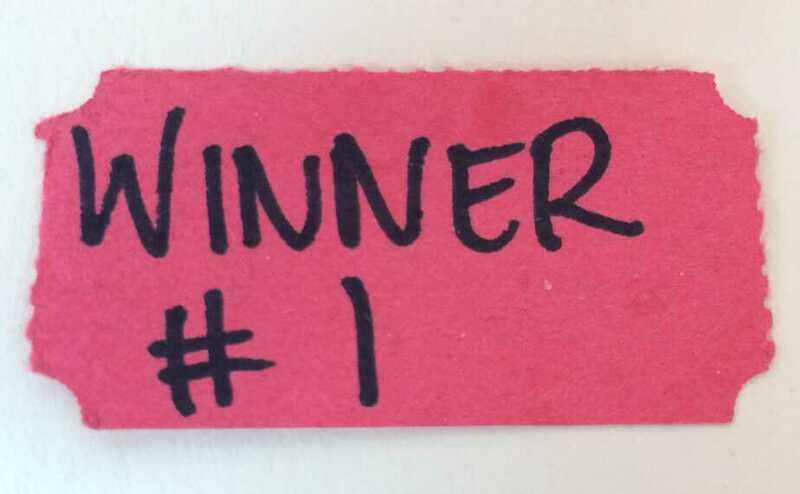 From what I witnessed the early part of the drawing yielded a low number of winners and as it got toward the latter part of the drawing the number of winners increased. It took my group a couple of attempts to win. Alyssa won a ticket and I was fortunate to be her +1 to the event. The payoff was an event that met and exceeded my expectations. Click here to read my recap of the event and a spoiler-free review of the movie. The important aspect I want to highlight about my con experience is the generosity of those who help each other out not just riding coattails. Con-karma comes back to those who help others and I was fortunate to help a few line buddies who, in turn, helped me or my friends & fellow line buddies out. For that – I owe them a huge thank you. While I did not plan to purchase many exclusives this year was fortunate enough to make some friends on line who generously purchased items for me so I ended up coming home with three stuffed suitcases. A primary goal for me during the con is autographs and this year was no exception. I was extremely happy to capture my unicorn autograph target which was the cast signing for The Walking Dead. 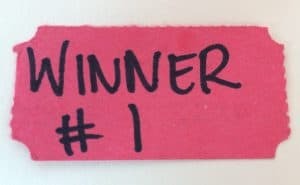 I have tried more times than I could count since my first SDCC in 2012 without success and this year I drew a winning ticket – the ticket itself was labelled “Winner #1”. The signing experience was legendary with the crowd amassed to see Jeffery Dean Morgan (Neegan) alongside the rest of the cast. There were only 50 winners so that allowed us time to interact with the cast and spend a few moments with each person down the line from Scott M. Gimple to Michael Cudlitz. Andrew Lincoln was very nice and he allowed me to take a quick video greeting to my wife and daughter who were home. The other signings I was lucky to draw for were The Strain, Supergirl, The 100, and Game of Thrones. For me I like the interaction with the actors and producers are a highlight for me. Even if it is only for a few moments, I have that opportunity to express my admiration for their portrayal of a character or their show and on the plus side, I get to bring home something tangible from the experience. The signings at the WB booth were very well organized but you are not allowed to take pictures so they can keep the signing to the allotted timeslot. Fox was a little less strict so you can grab a few pics along the way. Let’s talk about lines for a bit. Since I started attending this event in 2012 the line situation has exploded. In my opinion you can dub this con as “Line Con”. I will say I did accomplish a goal of being first into the convention center on the “Everything Else” line one day, however that feeling was bittersweet which leads to an area CCI needs to address. 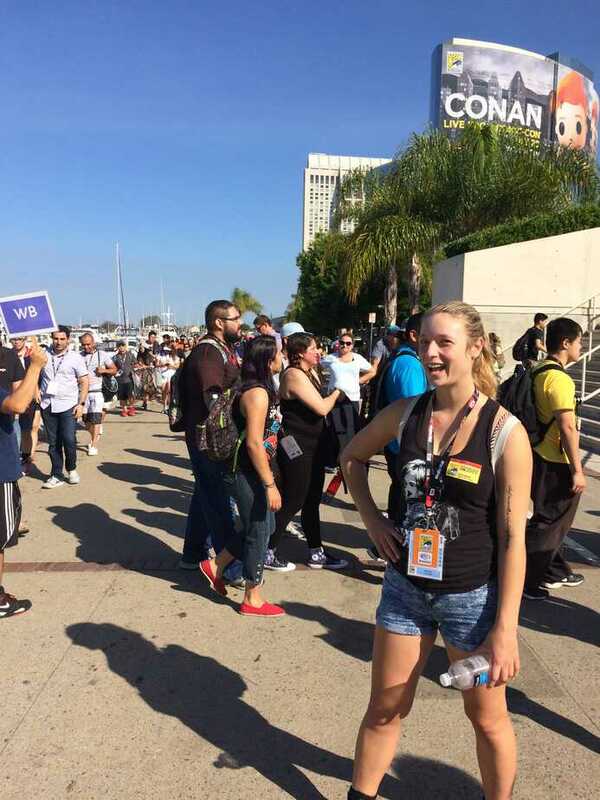 On the morning we were first in line we entered the convention center in an orderly fashion. That soon devolved as we were escorted down the long hallway on the upper level of the convention center. The situation was caused primarily by the people in the back of us pushing and swarming around the sides. Security stopped the line procession a few times which add more fuel to the situation. By the time we got to the doors leading to Sails we were engulfed in a swarm of people trying to pass around people ahead of them and through the doors to the Sails Pavilion. To compound the issue, the set of doors between the Ballroom 20 section and Sails Pavilion was not opened to allow us unobstructed passage into Sails resulting in a choke point. This forced us to open both set of doors ourselves while being careful of the people in front of us and behind us. This situation was not entirely safe for little ones or those who were not walking at the same speed as the surging crowd. As a result my group starting losing line team members in the throngs of people. By the time we got to our desired lines we were well behind our intended places in line since we were passed by those behind us and also scattered. In the end a few of us were concerned but I assured them not to deterred trying again the following morning. That next morning I attempted to talk to security and it turned out to be a fruitless endeavor. The guard with whom I spoke to did not appear to be willing to listen to my concerns and told me they know what they are rowing and they handle large crowds in LA. When I asked for a supervisor to speak with he could not identify one – which is another point of concern. There were a couple of questions raised to John Rogers at the Talkback panel regarding lines, including the crowding of people attempting to enter the Sails each morning. Click here to listen to the recording. Editor’s note: There is a discussion on the FoCC forum on the lines for Sails Pavilion – click here and join the conversation. The other disappointment of the con for me was the stacking of a large number of autograph signings drawings on the Saturday morning. The additions of DC’s Wonder Woman and Suicide Squad to the WB autograph drawing line lead to a few issues with demand and line length. DC and WB had a combined 18 offerings for autographs at the same table Saturday. The most popular draw at the start were Suicide Squad and Wonder Woman. It became apparent to the CCI staff managing the lines in Sails that they probably should have separated the DC offerings from WB but it was too late since the drawing had already started. They tried to pull the DC folks but were unsuccessful which caused a bit of confusion. The line was so long it went down to the Marina and continued past the Manchester Hyatt. I certainly hope the folks at WB and DC change their approach and not stack so much on the same day in future cons or they split the drawings to occur during multiple times during the day (i.e. : prior to open, late morning, and early afternoon). 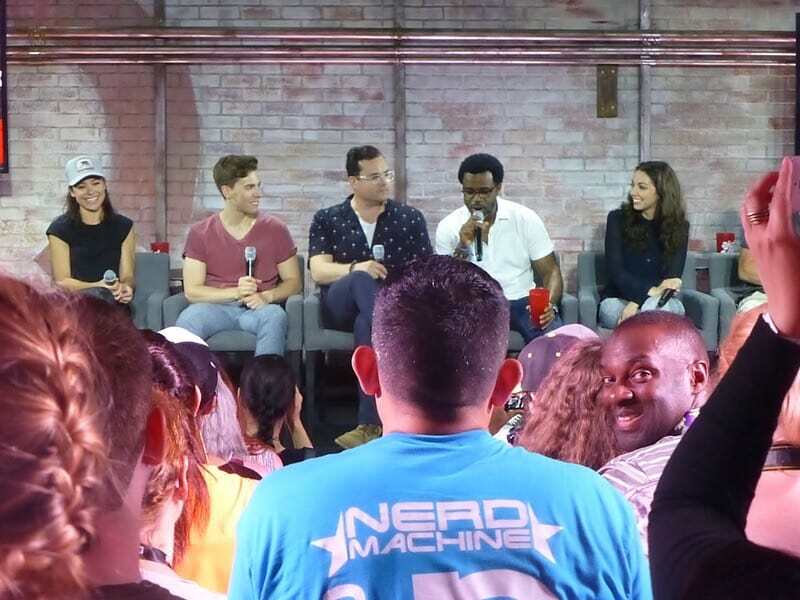 NERDHQ has been a must-stop for me each year and this year was no exception. I attended several ‘Conversations for a Cause’ panels this year and they were certainly a highlight of my con experience. This year there was a Hallmark pop up shop on site and I had to keep my wallet in check because there were a lot of things I would have purchased. Click here for My NerdHQ recap. Looking back I realized that that I did not spend too much time on the exhibit hall floor this year. I did however stop off at the Disney and Marvel booths for a few items to add to my bounty. The only other times were when I needed to traverse the floor to get to my autograph sessions. I did get a chance to see a couple of my target panels (The British Invasion: Spirit of ’86, Mr. Robot, Colony, and American Gods). I missed the Orphan Black Panel but I was able to see the cast at the Orphan Black at the Nerd HQ panel. 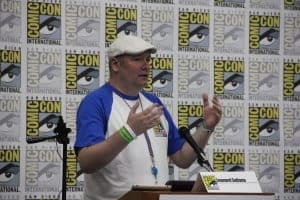 The British Invasion panel was a particular highlight for me as I wanted to see Leonard Sultana’s (a blogging & FoCC comrade) first SDCC panel in which he was moderating. I also bumped into a few folks I know from online interactions over the past year including my #SDCCFIT comrade Aaron Nabus (@hallhdotcom) and Umberto Gonzalez (@elmayimbe) of Heroic Hollywood. 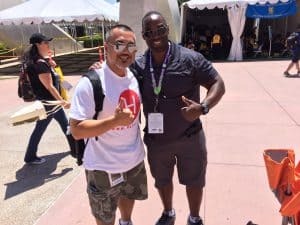 Although I missed the fun in Hall H during the Saturday panels, I did catch up with a few people who attended and they were literally on Cloud 9. The last day and conclusion of the con always brings me down a little but I was happy to see a number of my con friends before I departed for the airport for the red-eye home. In the end, my SDCC 2016 was a blast. I was fortunate to meet some really nice people this year and spend time with my con buddies from years past. I hope to see them all again next year. There were plenty of good times to be had and a few items to plan ahead for next year. Click here to see what others are saying about their experiences at SDCC 2016 and join the conversation. 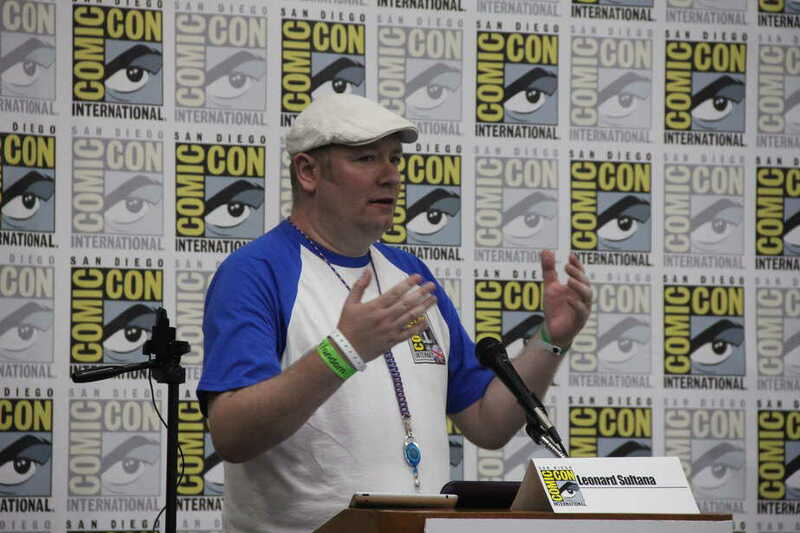 Note from the Editors: It is also never too early to start planning for SDCC 2017 and the discussion has already started on the FoCC forum. Click here to join the discussion. Here is a picture gallery from various points during my SDCC2016 travels. Enjoy.